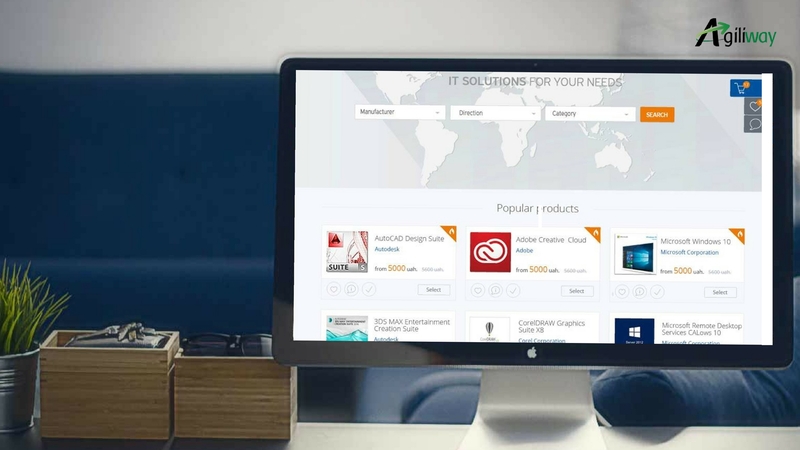 Agiliway has something to shout about – new online store for the biggest distributor of software licenses in Ukraine and CIS region. What makes this project special and outstanding among the similar e-commerce solutions, which offer virtual or downloadable products, is that our web store not only sells licenses and subscriptions but also continues tracking the status of the products sold and suggests automatic renewals when expiration dates approach. Thus our client received an e-commerce solution for continuous sales which is an undisputable advantage in the competitive market. The aim of our client was to increase their efficiency in providing high-quality service of selling software licenses from world-top providers like Amazon, Oracle, IBM, and many others. After becoming partners with one of the largest hardware distributors it encountered the necessity to deal with a rapidly growing number of customers. In order to cope with the emerging tasks, the joint company had to restructure and automate the cooperation processes with their regional distributors and the end users. Therefore it was looking for an efficient e-commerce solution. Magento platform has been chosen as the most suitable one for this kind of online store since it allows our project to be less time- and labor-consuming. As Magento 2 lacked all the necessary features to satisfy our client’s needs, Magento 1.9 was used in order to meet the project deadline. 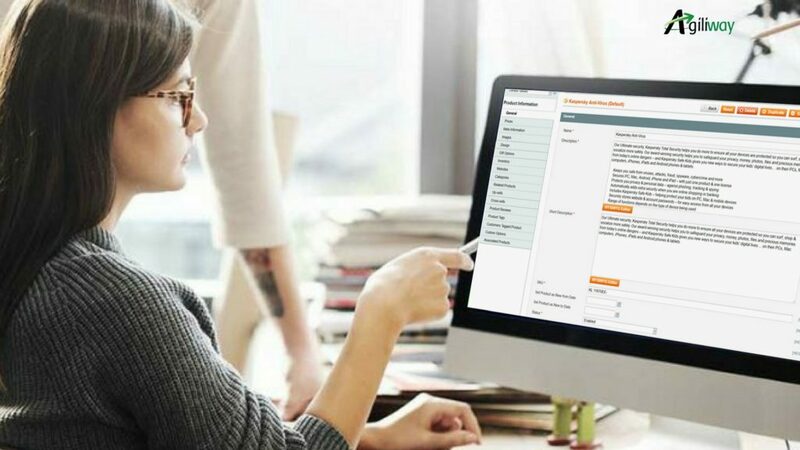 Due to the advantages Magento provides us with, the product managed to cover our client’s expectations in terms of information security, the speed of processing, internationalization, and complex products support. In the process of the project implementation, Agiliway has also developed a set of custom modules to support the “renewable” product. The ever-increasing pace of our life forces us always to be on the go and thus it is sometimes difficult to keep in mind all the important things like an expiry date of your software license. That is where our solution is to come in handy, as the drawing card of our web store is the sophisticated business logic which allows continuing selling such virtual products in the future by calculating and automatically prolonging products (subscription or licenses) for next periods. Our solution can boast the ability to track the recent information about the clients and their activities and suggests updated offer during prolongation (e.g. if the customer’s company grows then the system offers to extent the license for new employees). This is a considerable benefit not only for the ones who buy licenses, but also for those who trade them as it enables our client to automate work with numerous buyers, customize the approach to them, forecast their prospect purchases and increase future sales via its web store, actually turning its business activity into a continuous lucrative process. 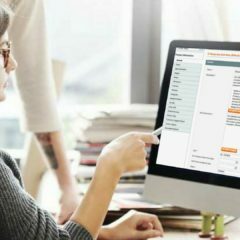 Such feature of the renewable products actually selling themselves gives a unique touch to this Magento development. The most critical about the project was that Agiliway had to make it working against the clock as the joint company needed the online store asap to support the increased clientele not to lose customers and profit after the restructuring. Despite being pressed for time we have immensely enjoyed the challenge of developing a complicated logic and advanced formulas, especially for “renewable” virtual products and we are glad that we have managed to come up with right what our client needed. This project has added new expertise to Agiliway’s experience as an e-commerce solution developer, and we are looking forward to applying it in our new projects.